Wajam is the PUP that uses misleading techniques to prevent removal. Use Reimage to locate malicious components and get rid of them faster than with uninstall instructions. A full system scan blocks virus reappearance and prevents traffic to malicious domains. Wajam is a PUP that shows search results based on victim's friends' posts on social networks. 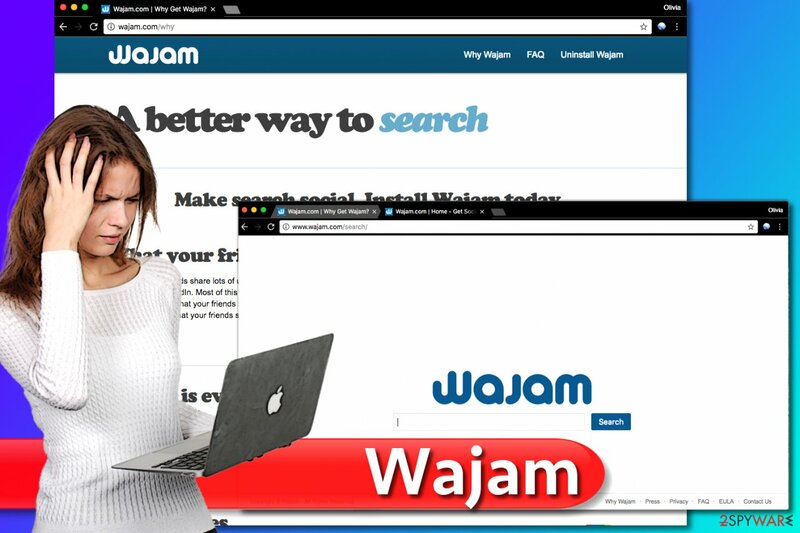 Wajam presents itself as a search enhancer which is capable of showing people search results that are selected according to their friends' activity on social networks. These social networks are FaceBook, Twitter, and Google+. It might also replace user's default start page to search.wajam.com. However, no matter that we would make a mistake by saying that this program is a virus and that it has never been found to spread malware and other cyber threats, you should try to be very careful with it when having it installed on the system. We say so because of a simple reason – an activity that it initiates. While one part of PC users claims that it is useful and trustworthy, some people declare that they are bothered by its ads and have never installed this program voluntarily. Unfortunately, but there is no doubt that these claims are true. In most of the cases, this program can get onto its target computer when downloading lots of different freeware and shareware. If you don't monitor installation of these programs, Wajam Web Enhancer can easily infiltrate your computer without your consent because it is usually hidden in 'optional' components that should be declined when trying to avoid them. Also, as soon as Wajam enters PC, it may start needed system modifications and then may start causing annoying ads and other unwanted activities. If you don't want to be tricked into visiting an unknown or even a suspicious website, you have to remove Wajam from your computer. Of course, we would also like to recommend you eliminating related free software as well because this program may show up on your computer right after rebooting it. Fortunately, it is not hard to remove this adware-type program. For that you should just scan your computer with the reputable anti-spyware, such as Reimage. Wajam is a questionable program that clutters search results with results based on victim's friends' posts on social networks. 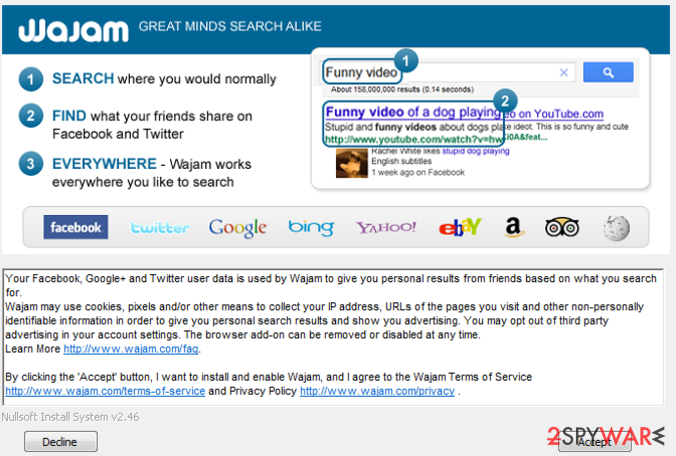 Screenshot of Search.wajam.com search engine. As we have already mentioned, you should be very careful when installing freeware and shareware on your computer because it may result in the appearance of various viruses, not only such and similar browser add-ons, extensions, plugins, and toolbars. So, the main thing that you have to remember is that Wajam.exe, wajam_64.exe and other files related to this app are actively distributed in a bundle with freeware and shareware. 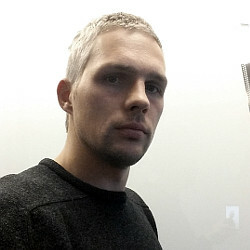 Its creators bundle their programs with various free software for monetization and similar purposes. Fortunately, you can avoid infiltration of these unwanted components by checking every step of freeware's installation, so make sure that you do that whenever installing freeware on your computer. For that, you should select only Custom or Advanced installation of the freeware and then uncheck pre-checked check marks that allow installation of Wajam Internet Enhancer. Otherwise, you should keep in mind that such programs can not only bombard you with annoying pop-up notifications but alter your homepage, Internet browser's settings, the default search engine and other settings. If you have been seen Wajam ads on your computer, and you haven't installed it by yourself, we recommend eliminating this program from your computer. Before you remove Wajam from your PC, you have to realize that it is not a virus. Technically, it is a potentially unwanted program used to promote needed parties and earn the money from that. The main issue with such activity is that you can never know what websites and companies are promoted via Wajam ads, pop-up notifications, and similar content. Wajam can easily redirect you to an unfair website that is used for spreading other adware-type programs, browser hijackers, and similar PUPs. Also, it can be used for tracking your browsing activity and may collect your search terms, mostly visited websites and information that you reveal about yourself when visiting these sites. If you are ready to remove Wajam hijacker from your computer, you can try using either manual removal guide or automatic removal method. Anti-malware tools that you can use for automatic removal of Wajam are listed below. Here, you can also find the manual removal instructions. If the step-by-step guide seems too complicated for you, you can click this link and see the video explaining how to fix the computer manually. Good luck! You will need to uninstall Wajam from Programs and Features or Add/Remove programs panel. Here, look for Wajam or any other recently installed suspicious programs. Wait until you see Applications folder and look for Wajam or any other suspicious programs on it. Now right click on every of such entries and select Move to Trash. When in the new window, check Delete personal settings and select Reset again to complete Wajam removal. Once these steps are finished, Wajam should be removed from your Microsoft Edge browser. To remove Wajam from Mozilla Firefox, follow these guidelines. Here, select Wajam and other questionable plugins. Click Remove to delete these entries. Now you will see Reset Firefox to its default state message with Reset Firefox button. Click this button for several times and complete Wajam removal. Wajam extension must be removed from Chrome. To do this, follow the given instructions. Here, select Wajam and other malicious plugins and select trash icon to delete these entries. Click Reset to confirm this action and complete Wajam removal. To fix Safari and get rid of Wajam, carry out the provided instructions. Here, select Extensions and look for Wajam or other suspicious entries. Click on the Uninstall button to get rid each of them. Now you will see a detailed dialog window filled with reset options. All of those options are usually checked, but you can specify which of them you want to reset. Click the Reset button to complete Wajam removal process. ^ Virus Activity. Virus Activity. The Latest News about Virus Activity. This entry was posted on 2019-04-01 at 01:00 and is filed under Adware, Viruses. You can quickly scan the QR code with your mobile device and have Wajam manual removal instructions right in your pocket. How did you remove Wajam?